The team at CustomSigns.com uses advanced technology to customize many types of vinyl banners. Whether you are shopping for a personalized banner for your business or for a party or baby shower, CustomSigns.com can meet your needs. We have a state-of-the-art large format printer that creates full color banners in a matter of minutes. Choose a template and let us customize your vinyl banner to promote or advertise your event. 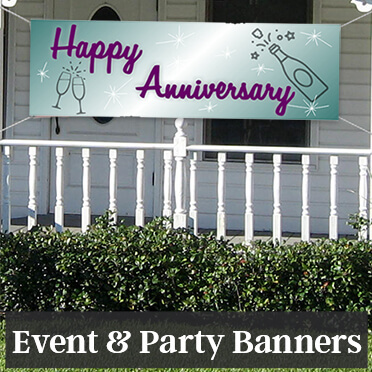 Whether you need business banners to advertise your company or want to liven up a birthday or other event with one of our party banners, we offer a variety of banner templates for you to choose from. We can print an endless spectrum of colors on just about any size banner you need. Our banners can be used indoors and outdoors. If you need to hang your banner outside, you can order it with wind slits. 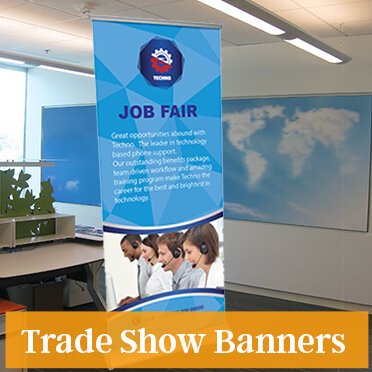 We provide high quality, colorful vinyl banners for any event or purpose, or you can design your own banner. Our high quality, durable custom vinyl banners can be used for many purposes, and we print them on our large format printer in house at our facilities. 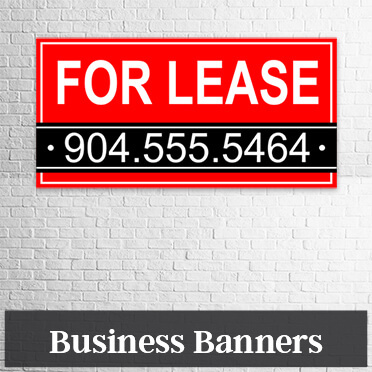 We can have your banner ready to ship in 1-2 business days from CustomSigns.com. Use code Vinyl20 for 20% off.